Our organization has gained recognition as flourishing enterprises for providing Ready Made Effluent Treatment Plant. 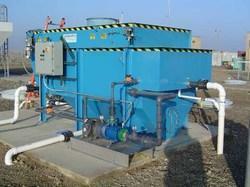 We are a leading Effluent Treatment Plant manufacturer in Chennai. Effluent Treatment Plant helps in removing contaminations from wastewater and Industrial effluent, water that are used by Industry, hospitals, & Hotel are degraded in quality as a result of the introduction of contaminating constituents during Process & Uses Like– Organic wastes, suspended solids, bacteria, Oil & Grease, Chemicals, Metals, Resins, Colorant, & Surfactant are pollutants that commonly Call Effluent. 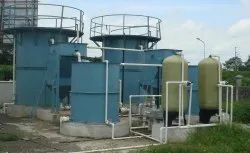 Industrial Effluent water treatment plants are an ideal solution for processing wastewater and effluent from any industrial application. We design our industrial sewage systems to suit site specific wastewater characteristics and to meet any effluent standard. Our industrial sewage treatment solutions are compact and energy efficient. By using reliable processes and a variety of technology we are able to produce industrial wastewater treatment plants that have minimal running costs and trouble free operation. Our industrial sewage treatment systems are suitable for both above ground or below ground installation, regardless of the application type. Furthermore, we design and manufacture our industrial sewage systems to international standards and have global reference projects for the technology we use. There are no restrictions when it comes to the wastewater type or the target effluent quality.